Since VW popularised the concept of camper vans in the 1950s, camper vans have been converted and produced by a number of different companies. Today there is a great range of conversions using a wide range of base vehicles. Mercedes Benz have long had a tradition of making commercial vehicles, and were one of the first companies to offer a commercial diesel engine. Transco (a company in the UK servicing gas pipes) had a big fleet of vehicles, including Mercedes Sprinter and Ford Transit vans. The VW Type 2 is the classic old-school camper van that popularised the compact leisure vehicle industry. VW Transporters are still made today, currently as the T5 model. Known as the Eurovan in USA and Mexico, or Transporter in UK, Ireland & North Europe. A motorhome or motorcaravan offer the best in luxury and space. Generally fitted with everything one needs, including a shower and toilet. With a motorhome you are self sufficient and can do without campsites. The Ford Transit is a popular range of panel vans, minibuses and pickup trucks. The Transit has been the best-selling light commercial vehicle in Europe for 40 years. In Britain and other countries the term ‘Transit’ often refers to any van of Transit size. 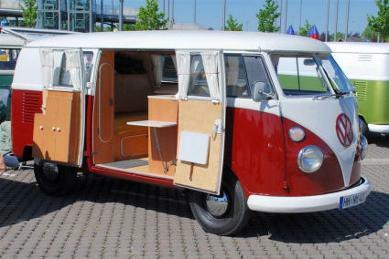 Westfalia are best known for their conversion of VW camper vans. The full name of the company is Westfalia-Werke, which is based in the town of Rheda-Wiedenbruck in the Westphalia region of Germany. 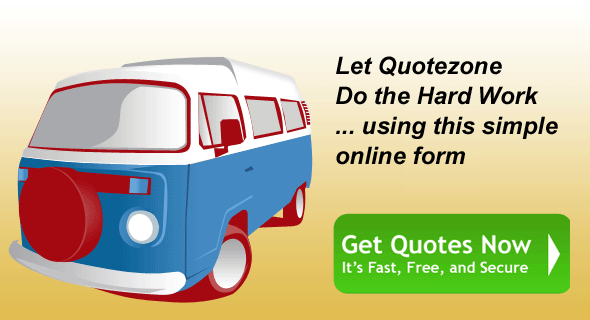 Panel vans are one of the best vehicle’s for camper van conversions. They are large, come in many formats, are easy to drive, and in recent years have become more reliable and affordable. 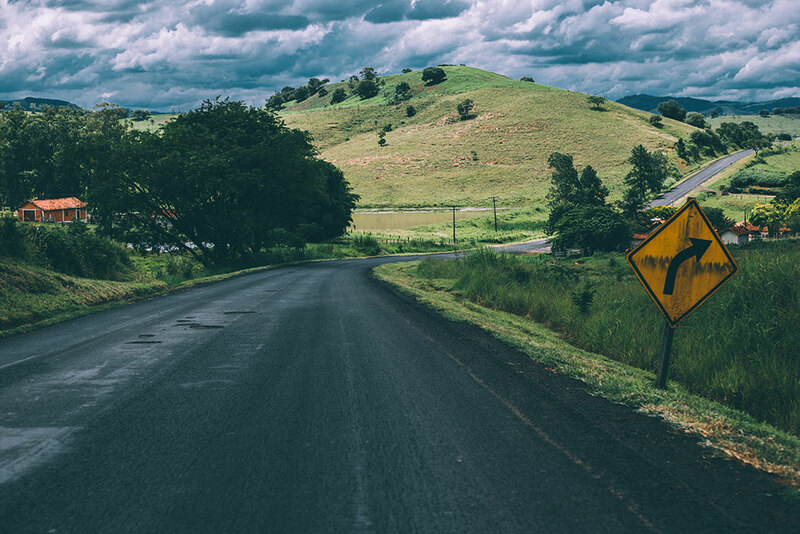 Camper van breakdown recovery is a great investment if you intend to travel for a long period of time or if you have an old vehicle that can be unreliable. The cost of having a vehicle recovered to home is expensive. Think hundreds of pounds, dollars or euros, or even thousands if you are abroad. 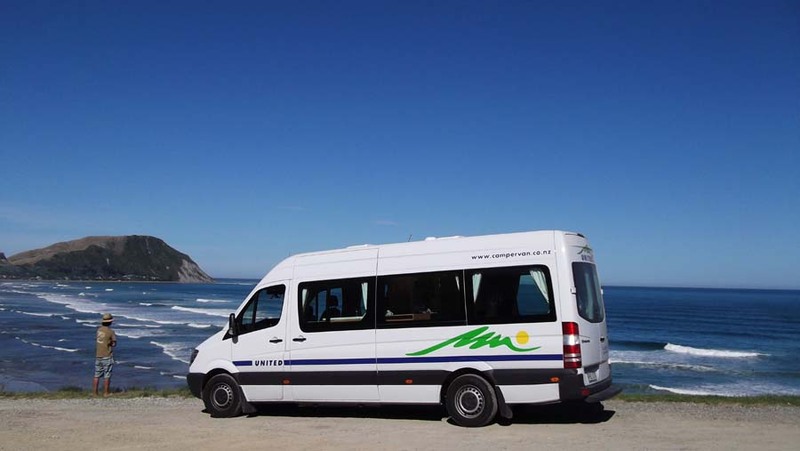 It is important to prepare your campervan or motorhome for the winter months. This is especially true if you live in an area where you receive frost or snow, as damage can quickly happen to an unprepared vehicle. This guide covers preparing the living area of your vehicle, and mechanical tips as well. Really fantastic site. I have searched but can’t find an answer to my question so I apologize if this topic has been covered before. I’m wondering if its possible to ship my American Ford F 250 with a camper shell on the back. I mean I know its possible and cost effective for me but realistically would I have difficulty driving it Europe? Just to be clear I am an EU citizen within EU drivers license and have driven all over Europe so my question isn’t about the actual driving rather it’s more of a registration and police question. my understanding is that I can legally drive the vehicle for 6 months before needing to register it in the EU country. I’m just wondering why more Americans don’t do this. What difficulty would I have shipping my rig over there driving it around for 6 months? thank you again and my compliments for a wonderful website. Hi. is it a straight forward reclassing at a post office or a long winded affair to re tax a former patient transport 5 seater merc vito as a std PLG ? I will buying a Renault Megane Scenic in the next few weeks and plan to use it for ad-hoc camping. I’ll be staying on established sites in the UK as well as using it as my everyday vehicle / loadlugger. I have been car camping in a number of cars (mainly hatchbacks and estates) so have a good idea of how to adapt the scenic. I’m just after a few pointers and ideas that I’ve overlooked. Will you be using campsites or wild camping? How long do you intend to camp in the Scenic? Reluctantly sale due to changing circumstances. 1989 Autotrail Comanche, 116000 km on the clock, Talbot Express base, 2.5 turbo diesel with air suspension Reliable and in good condition. UK registered, RHD, taxed end June, MOT end March. Completely refurbished inside and is spacious, light and lovely to take holidays in. Large lounge area which converts into 2 single beds or a huge king sized bed, blown air heating, new hot water boiler, new window blinds and roof vents. shower and bathroom, end kitchen with cooker, grill and hob, plus a 3 way fridge. All appliances in good working order. Plenty of storage over the cab and throughout. Bike rack and extra security lock fitted across the back entrance door. Extra interior locks and hidden safe for added safety. Must be seen to be appreciated. Contact angelikskier@hotmail.com or 663572603. We live in both u.k. & France |& would like to find the cheapest crossings for our recent motorhome. it seems impossible.to find any prices at all.Can you help please. It depends on where you want to cross the Channel. Find the companies that offer the crossings you want. i want to buy a van for conversion but i am not sure which is best. it would be used to take me to wakeboarding tournaments so it needs to be fairly reliable. any ideas what van i should pick as i dont have a great budget. The first thing to decide is what size of van you need. i would want a large van, is the VW t5 any good? The VW T4 and VW T5 vans are excellent. Also consider the Mercedes Vito van. 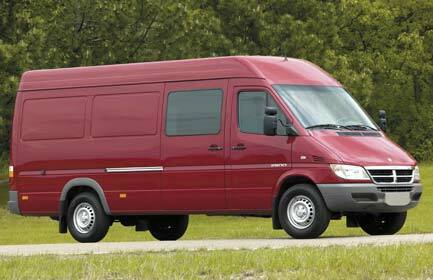 If you want something bigger consider the Mercedes Sprinter, which is probably the most reliable of all of the vans. The Fiat Ducato is also popular. Whilst not as reliable as the Spriter, it is cheaper, and popular with camper convertors because it is wider and the handbrake is on the right-hand-side of the drivers seat, making it easier to pass through to the cab from the back, when a single passenger seat is fitted. how much would the fiat van and conversion cost? There is a cost to suit everyone. It all depends on what you want and how much you want to spend. If you do the conversion yourself you can do something nice for £500, but £1,000 – £2,000 will get lots of comfort and mod cons. As your vehicle doesn’t have seats it is now technically a van with windows, a light goods vehicle. As you are converting it to a campervan, try the following companies. 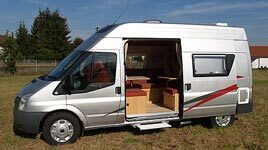 They have policies that insure your van/mini-bus now, and then change the cover to a campervan once your conversion is complete. I am looking to insure my self conversion merc sprinter and need some guidance where I can find the cheapest companies who specialise in this sort of insurance.